The PDFs below contain the rules for the 2019 season, if unsure of legitimacy of any part please ask. Note: Any car not deemed legal may be raced; however it will not be eligible to race in finals, or score championship points. Doors open at 07:45 on Tuesday Evenings. Race fees are £5 per night, with first attendance free. No food or drink should be brought near the track. No objects are to be placed on the track surface. The only items permitted on the track surface are the cars. Tyres should be cleaned away from the track surface. ​Due to the weight and size of the track sections, at least 2 persons should lift each track section. No single lifts should be attempted. Swearing, shouting and poor conduct will not be tolerated. Children remain the responsibility of parents / carers and should be supervised at all times. FLBT will not be held responsible for any damage or loss to any equipment or persons. For Heats and Finals and Laps and Finals, any number of cars (typically up-to max 4) may be used by racer during qualifying. During finals, the car must have competed in the qualifying heats. Segmented racing uses Parc Ferme conditions, and from 2019 on, the racer may use a maximum of 2 cars during the racing. Points will be scored from 1st place to 15th as follows: 25,20,16,13,11,10,9,8,7,6,5,4,3,2,1. ​All racers after 15th place will receive 1 point. Membership will be a nominal fee (tbc), and will entitle persons to vote for changes at the annual AGM. Contact of the committee should be made via the contact form within this website. Race Coordinator is a free alternative slot car lap counting software package for the PC. 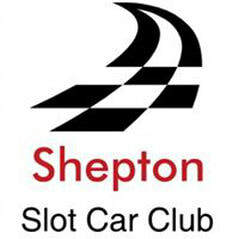 Home of the British Slot Car Racing Association. For 1/32 and 1/24 scale racing. THORL. 1/64 HO Scale Racing. FLBT hosts national rounds and several members compete. Wales and West GT Championship. More info available by searching Wales and West on Slotforum.